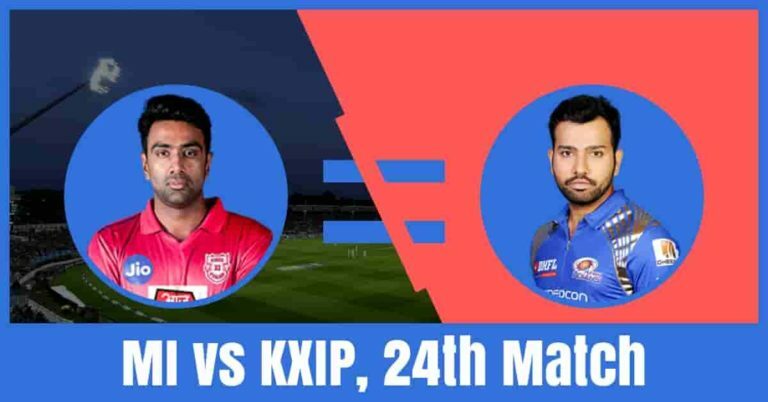 Who Will Win The Match Today of KXIP vs MI 24th Match Indian Premier League 2019? Can Mumbai Indians improve their winning record at Wankhede Stadium? Mumbai Indians are all set to take on Kings XI Punjab on Wednesday, April 10, 2019, at Wankhede Stadium, Mumbai. If you are looking for the best choice for captain and vice-captain, dream 11 free grand league teams, MI vs KXIP latest news, Mumbai Indians vs Kings XI Punjab Full Squad, who will win today, toss prediction of KXIP vs MI then you are at the right place. We have covered all the above information in details. All the information in this post are based on statistics and data and are very accurate. The information on this post is taken from very reliable sources so make sure to read the complete post. If you want to win the grand league, fantasy cricket league or increase your chance of winning to 100% then read each section carefully as every section on this has some information which may make you a grand league winner. Mumbai Indians have played 5 matches, won 3 and lost 2 matches. They are in the 5th position of the points table with 6 points in their pocket. They have won their last two matches back to back. They have won their last match against SRH by 40 runs. Prior to that, they have won against CSK by 37 runs. Quinton de Kock, Rohit Sharma, Suryakumar Yadav and Hardik Pandya are the top scorers of Mumbai Team. They have scored 133, 118, 117 and 102 respectively. Alzarri Joseph, Jasprit Bumrah and Hardik Pandya are the top wicket-takers. They have taken 6, 5 and 4 wickets. 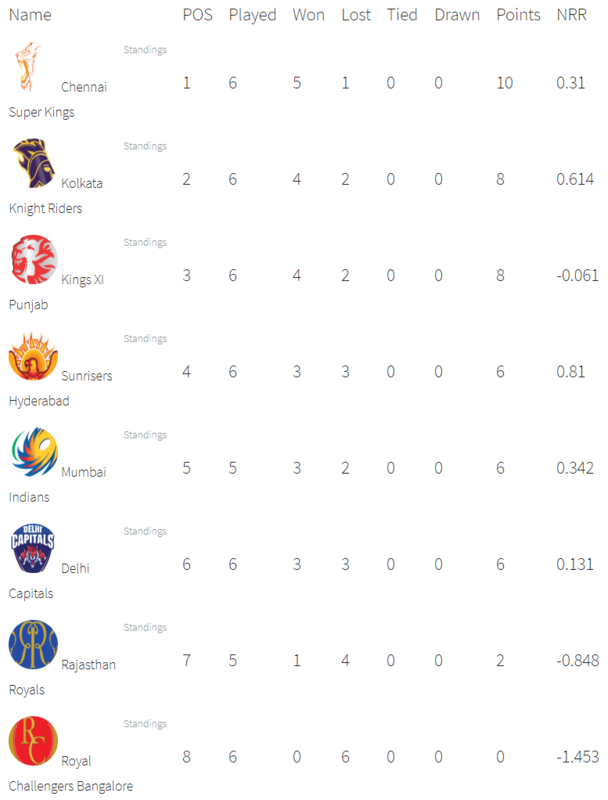 On the other hand, Kings XI Punjab have played 6 games, won 4 and lost 2 games. They are in the third position of the points table with eight points in their pocket. KXIP have won their last match against SRH by 6 wickets but prior to that, lost the match against CSK by 22 runs. Lokesh Rahul, Mayank Agarwal, Sarfaraz Khan and Chris Gayle are the top scorers of Punjab team. They have scored 217, 184, 165 and 160 runs respectively. Ravichandran Ashwin, Mohammed Shami and Sam Curran are the wicket-takers. they have taken 7, 6 and 6 wickets respectively. Rohit Sharma, Quinton de Kock, Suryakumar Yadav, Hardik Pandya, Alzarri Joseph and Jasprit Bumrah are the key players of Mumbai Indians Team. Lasith Malinga is available for selection but he may have to sit as Alzarri Joseph had an outstanding performance. The Mumbai team management may play with the same playing 11. Jasprit Bumrah, Alzarri Joseph and Rahul Chahar will lead the bowling department. Rohit Sharma and Hardik Pandya are the most valuable players of the Mumbai team. Batsmen: Suryakumar Yadav, Ishan Kishan, Rohit Sharma, Kieron Pollard. Bowlers: Jasprit Bumrah, Rahul Chahar, Jason Behrendorff, Alzarri Joseph. Rohit Sharma(c), Alzarri Joseph, Barinder Sran, Jayant Yadav, Quinton de Kock(w), Ben Cutting, Suryakumar Yadav, Aditya Tare, Ishan Kishan, Siddhesh Lad, Kieron Pollard, Pankaj Jaiswal, Hardik Pandya, Mayank Markande, Krunal Pandya, Rasikh Salam, Rahul Chahar, Anmolpreet Singh, Jason Behrendorff, Anukul Roy, Jasprit Bumrah, Evin Lewis, Yuvraj Singh, Mitchell McClenaghan. Lokesh Rahul, Chris Gayle, Mayank Agarwal, David Miller, Mujeeb Ur Rahman, Ravichandran Ashwin and Sam Curran are the key players of Kings XI Punjab Team. The Punjab team management may play with the same playing XI. Mohammed Shami, Mujeeb Ur Rahman and Ankit Rajpoot will lead the bowling department. Batsmen: Sarfaraz Khan, Chris Gayle, David Miller, Mayank Agarwal, Mandeep Singh. Bowlers: Ankit Rajpoot, Mohammed Shami, Mujeeb ur Rahaman. Ravichandran Ashwin(c), Harpreet Brar, Lokesh Rahul(w), Arshdeep Singh, Chris Gayle, Darshan Nalkande, Mayank Agarwal, Simran Singh, David Miller, Murugan Ashwin, Mandeep Singh, Hardus Viljoen, Sarfaraz Khan, Varun Chakravarthy, Sam Curran, Mujeeb Ur Rahman, Ankit Rajpoot, Nicholas Pooran, Mohammed Shami, Agnivesh Ayachi, Karun Nair, Moises Henriques, Andrew Tye. The pitch of Wankhede Stadium, Mumbai generally favours the batsmen and it is expected that the wicket will behave the same. The seam bowlers can get some purchase from the wicket in the initial overs. A hot and humid day is predicted today. The weather of Mumbai is forecasted to be mostly sunny and it will remain the same throughout the day. The sky will be clear and there is no sign of rain today. The temperature is expected to be 29-Degree Celsius and the humidity to be 72%. Kings XI Punjab has won the previous match against Mumbai Indians this season. If we look at the statistics of the last five matches between KXIP vs MI, MI has won 3 matches and KXIP has won 2 games. According to the crix11 astrology cricket match prediction, MI will win the match today. The team winning the toss should opt to bowl first. Mumbai Indians have won most of the matches while defending on this ground. According to crix11 astrology match prediction, KXIP will the toss and opt to bowl first. You may like to read all CSA T20 Challenge Dream11 Prediction. This is it for Today’s MI vs KXIP Dream11 Fantasy Cricket Prediction 24th Match. What is your best team? What do you think Who Will Win Today? Leave a reply in the comment section.